Scottish rally legend Colin McRae has been named as the greatest British driver of all-time by readers of Motorsport News. The 1995 world champion was the overwhelming choice of readers of the weekly newspaper. Short oval hero Stuart Smith Sr, a six-time BriSCA F1 world champion, was second, with Formula 1 champions Jim Clark and Nigel Mansel third and fourth respectively. McRae's win in the poll pleased current World Rally Championship driver Kris Meeke. The works Citroen man was mentored by McRae early in his career. "Colin had to win this," said Meeke. "He was such an iconic figure in British motorsport and that's why I voted for him. "His style of driving was incredible. As anyone knows who stood and watched Colin in the forest, when he came through you had to take a step back - he only used the road as a rough guide! "That got everybody hooked on rallying." 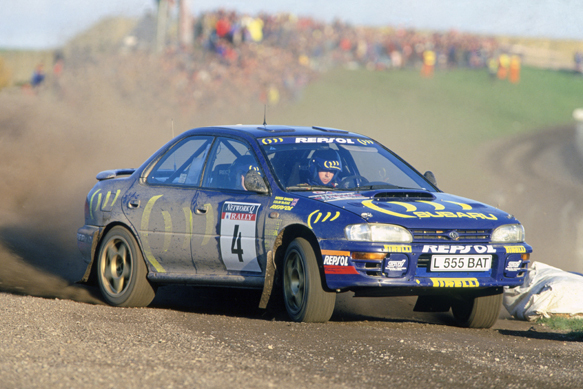 McRae was also hailed by Volkswagen WRC star Jari-Matti Latvala. "In the nineties, Colin was the bravest," said the Finn. "Nobody could touch him for the bravery and for the determination to win rallies. "When he was in the mood, nobody could catch him." The full results of the Ultimate British Driver poll can be found in this week's Best of British special edition of Motorsport News. For a preview of the issue, which celebrates the drivers, events, cars and companies that make British motorsport great, click here.